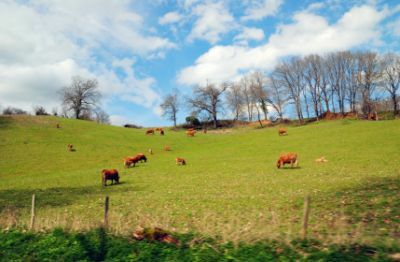 Property Owners: List your Limousin property on the premier site specialising in French holiday lets. More Info. View all villas and gites in Limousin. In order to make the most of their stay, a lot of people choose one of the many Limousin villas that are available to rent. Not only do they provide comfort and a feeling of wellbeing, they also let you come and go as you please, giving you the opportunity to get the most from your holiday. Another much sought after alternative is a gite holiday. Gites in Limousin offer similar advantages to villa accommodation, while allowing you to become part of everyday French life for the duration of your visit. Limoges is the only city of any size in Limousin, and even then, it only has about 150,000 inhabitants. Sitting beside the River Vienne, the city is one of both artistic and historic interest. It’s a centre for ceramic production, the quality of which is recognised throughout the world. The Adrien Dubouché National Museum of Porcelain relates the history of not just the porcelain, but also the earthenware and sandstone, while you can pay a visit to Four des Casseaux, the home of the old kiln. For souvenirs, you’ll find more than enough shops to satisfy even the most discerning customer. Around the Cathedral of Saint-Etienne de Limoges lies the “city of bishops”, where you can wander around the botanical gardens and view the treasures in the Bishops’ Palace Museum. They include a number of impressionist pieces by Renoir, who was born in the city. On a more sombre note, the village of Oradour sur Glane is a must-visit, if only to stop and reflect on the brutality and blind hatred of which Man is capable. Known as the martyred village, in 1944 it was burnt down while many of its inhabitants were massacred by the Waffen SS. Since that time, the village has been left untouched, and stands as a memory to those who lived there. Coming more up to date, those who like to get the blood pumping will enjoy a visit to the Dordogne valley for some kayaking and sailing, while the Parc Naturel Régional de Millevaches is good for hiking and riding. One of Limousin’s specialities is Pâté aux Pommes de Terre. Served as either a main course or a side dish, it’s usually accompanied by a green salad. Basically, it's a puff pastry package of potato slices covered in crème fraîche that's baked in an oven until it’s golden brown. Seasonings vary, depending on who’s doing the cooking, and it’s not unusual to find the dish made with garlic and even meat. Whichever way it’s made, it’s always delicious. A local dessert that you mustn’t miss is Clafoutis. It consists of black cherries in a thick flan-type batter, which is then baked before being dusted with ground sugar. However, be warned that it’s often served with the cherry stones still in place, as they’re said to give the dessert a much stronger flavour. Sometimes, the black cherries are substituted by red cherries, plums, prunes, blackberries, cranberries or apples, but that means technically it becomes a Flaugnarde, albeit just as tasty.